Many important Vivaldi functions are available from the application menu. 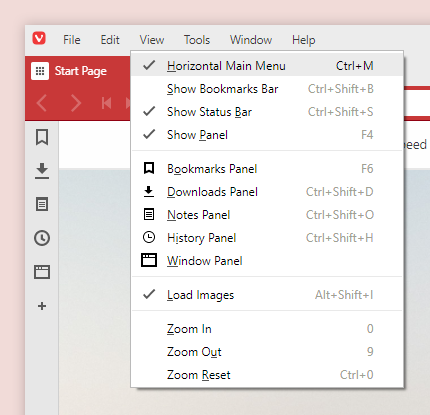 Windows and Linux users can set the menu to either appear as Vivaldi [V] icon or as a horizontal menu across the top of the window. Go to Settings > Appearance > Menu. Choose File > Import Bookmarks and Settings… menu item. Bookmarks and settings can be imported from all major browsers, as well as Opera or HTML bookmarks files.